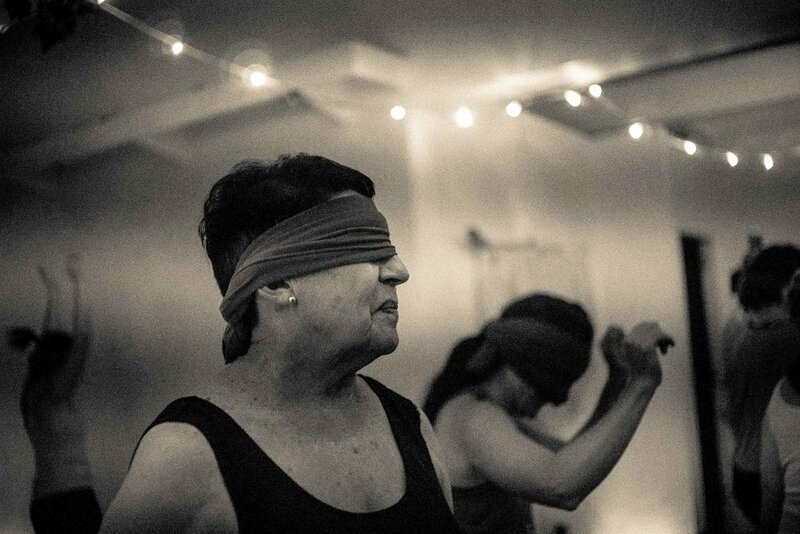 The Art of Seeing + Blindfolded Yoga is an immersive event that I have hosted in 8 countries for 1000's of people... from mountaintops in Australia to the jungles of Costa Rica, from the islands of Greece to the mayhem of Miami, the South of France, LA, New York, Bali and beyond... its been around. 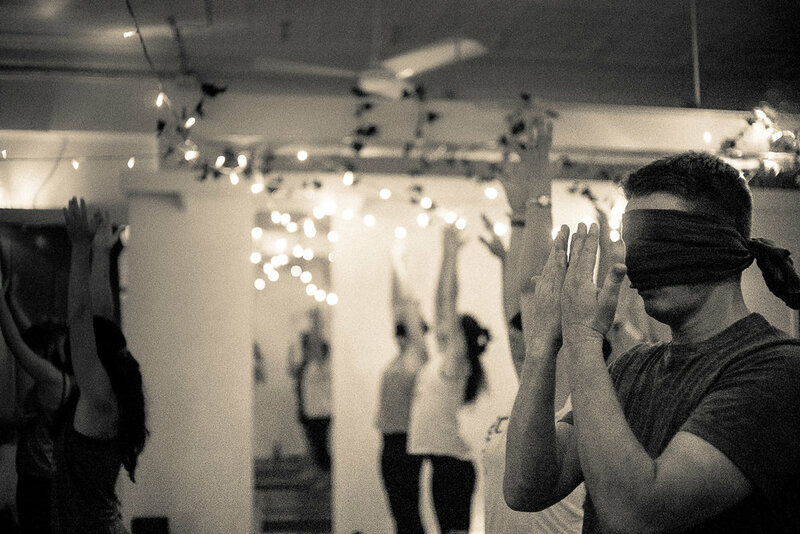 With them, I've collaborated with some of the most renown names in the yoga industry, headlined international festivals and cracked-open corporate clientele for team building exercises. Honestly, I had no idea how the concept would be received out-yonda in Narrabri. Would they show up? Would they understand it? And most importantly, would they be open to all the vulnerability the experience calls for? The report is official in... the event was an incredible success! An amazing turn-out, ready they were, and exquisite it was! And my absolute favourite thing about the whole event was that my brother and my darling mother (who've both never even done a yoga class) came along for the ride!!! With every Art of Seeing installation I do, the potency of this concept becomes more evident. We are slaves to technology not because we want to be, just because we've forgotten how to be in our bodies and engage the world with our senses. Our childlike wonder has been replaced by pixels, judgement and convenience. We are adrift in a stream of digital distractions and often missing the magic. This experience reminds us of the poetry available in every moment. It reminds us to not just eat, but to slow down and taste the flavours; to not just touch, but to feel the textures at our fingertips; and to not just look, but to truly see the beauty that surrounds us. + To the creative ninja who captured these gorgeous images, Layten Smith... THANK YOU!!! + A very, very special thank you to Katy Simshauser for the invitation, organising everything and creating such a delicious atmosphere. Fuel your creative fire, take better pictures of the kids, or simply prioritise yourself for an afternoon... come see the beauty with Pete this Saturday in Narrabri for his signature photography workshops. Catering beginners to advanced (smartphones welcome), these offerings will not only improve every picture you ever take, they will change the way your see the world.